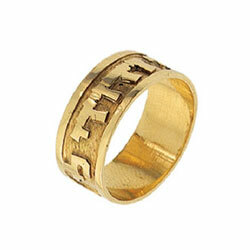 Hand crafted and Custom-made bordered 14K Gold ring with Hebrew letters. You choose: size and phrase. Florentine finish with shiny letters.